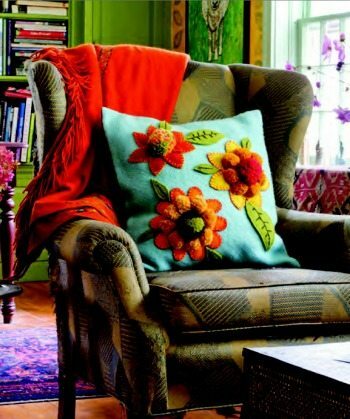 As you my have noticed from my recent pillow collection, Pom Springs, I LOVE pompoms! They are so fun, colorful, and add a whimsical touch to your home decor and fashion accessories. 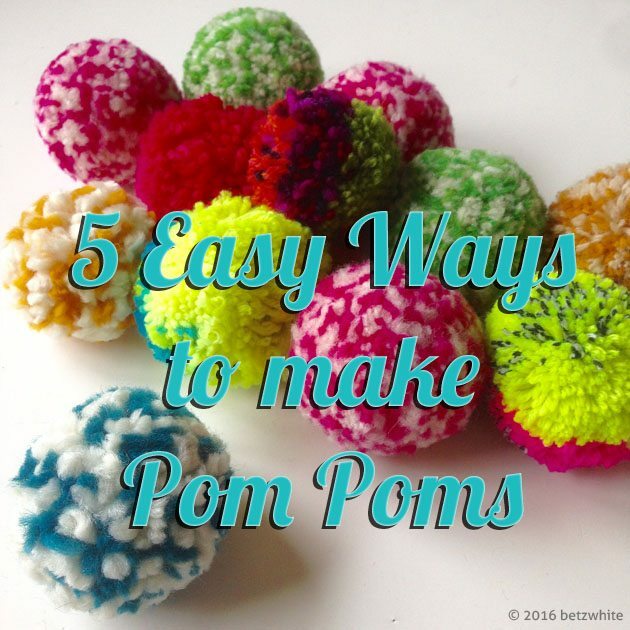 The following are my 5 favorite ways to make POMS! This is one of my most pinned tutorials on Pinterest! 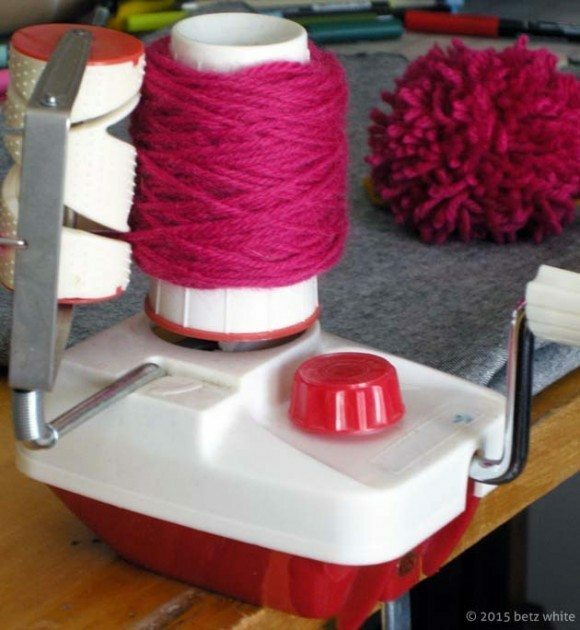 If you craft with yarn, you likely own a yarn winder/baller. 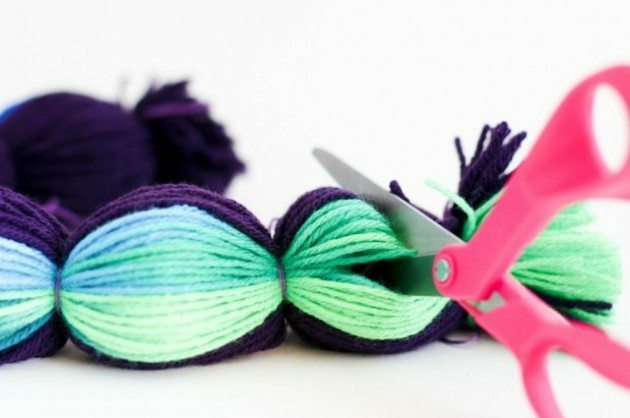 This tutorial shows you how to make 2 big poms at a time…in no time! Anne Weil of Flax and Twine has a fabulous tutorial for making pompoms in bulk! No special tools to purchase, as long as you have a small piece of furniture with legs. What!? 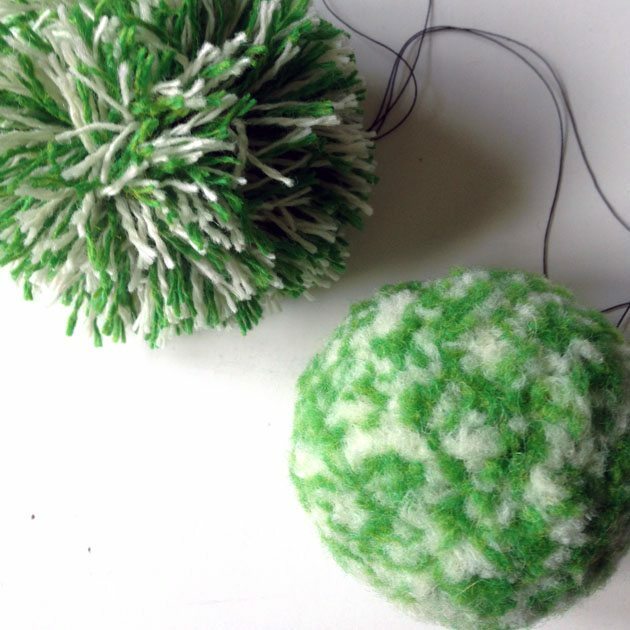 How cool is this tutorial from kungenomajkis.blogspot.ie that shows how to make pom poms using empty toilet paper tubes! The post is in Swedish but the photos illustrate the technique perfectly. Homemade Gifts Made Easy shows you how to make your own cardboard pompom templates modeled after the plastic tools that you can buy in craft stores. They are super fast compared to the traditional cardboard circle. No matter which technique you use to make your pompoms, I highly recommend using wool or wool-blend yarn. For a finishing touch, try steaming your poms to make them super fluffy! I used my vegetable steamer on the stove but you can also hold them with tongs above a steaming pot of water. Or, try soaking your pom poms in warm water to fill them out, like I did with the green ones in the photo above. They are made from unwashed shetland wool that I use in my machine knitting. I made the poms with the Clover tool then soaked them in warm water with Eucalan wool wash for about 10 minutes. I squeezed out the water then hung them to dry before trimming them into a nice ball shape. Note that steaming is more time efficient but not quite as fluffi-fying! These poms took a full day to dry. There are so many fun ways to use pom poms! Add them to the ends of scarves, the corners of pillows, string them as a garland or just fill a big bowl of them on your coffee table! Do you love pom poms? How do you make them?